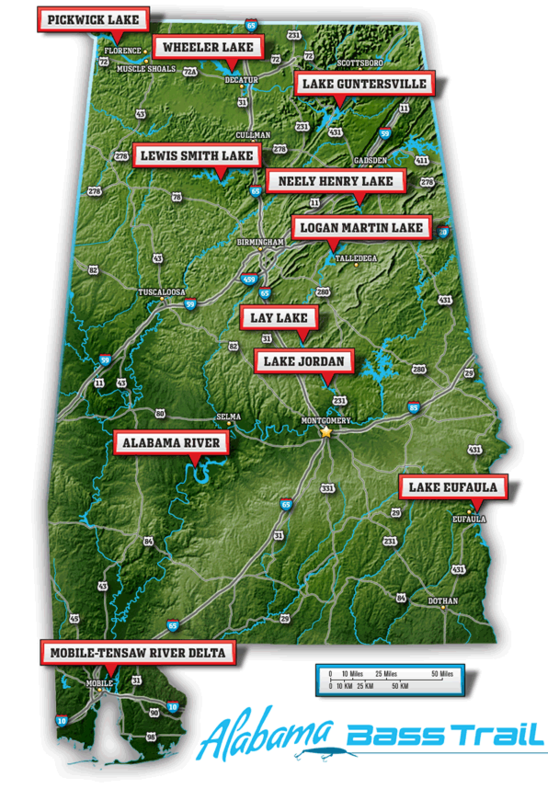 The Alabama Bass Trail… Now You’re Hooked! 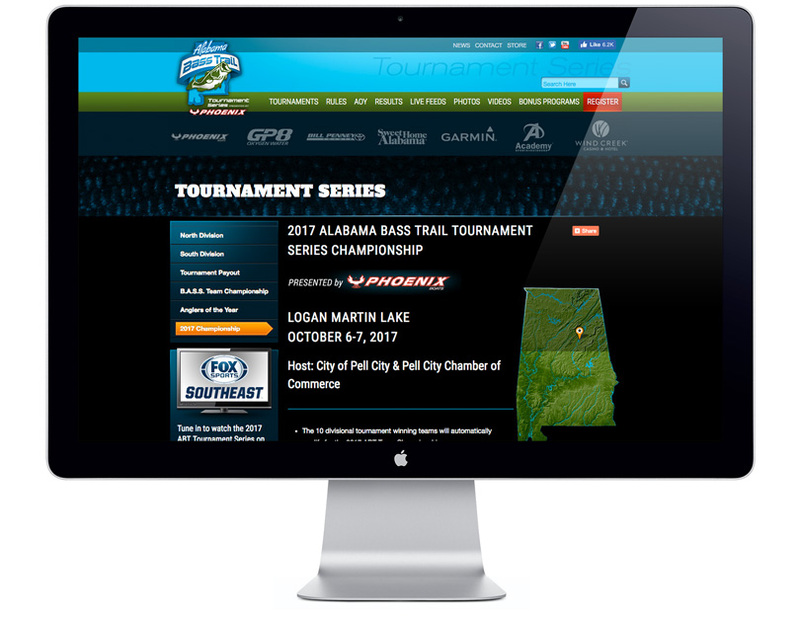 The Alabama Bass Trail Tournament Series is More Buzz than a Chatterbait: What’s all the racket? 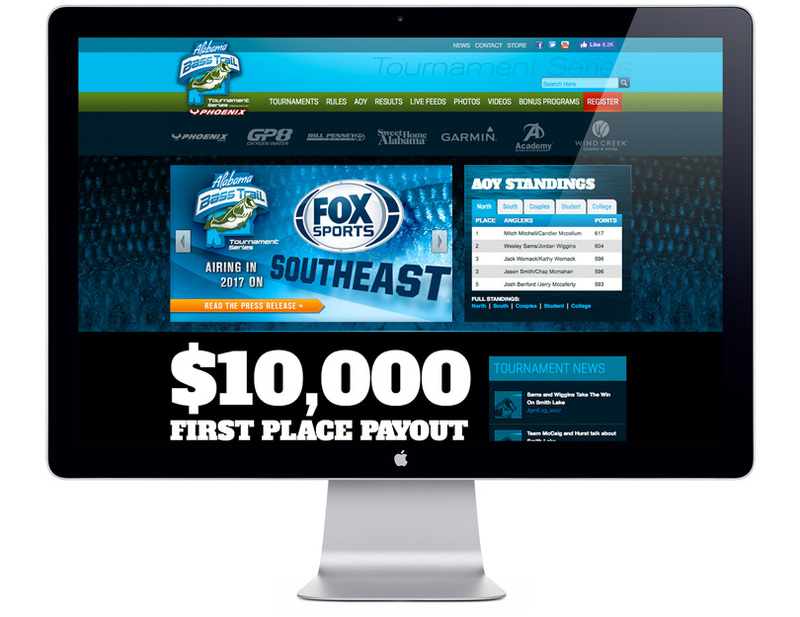 That noise you hear is the excitement created by the wildly popular web site by the McComm Group for the renowned Alabama Bass Trail Tournament. 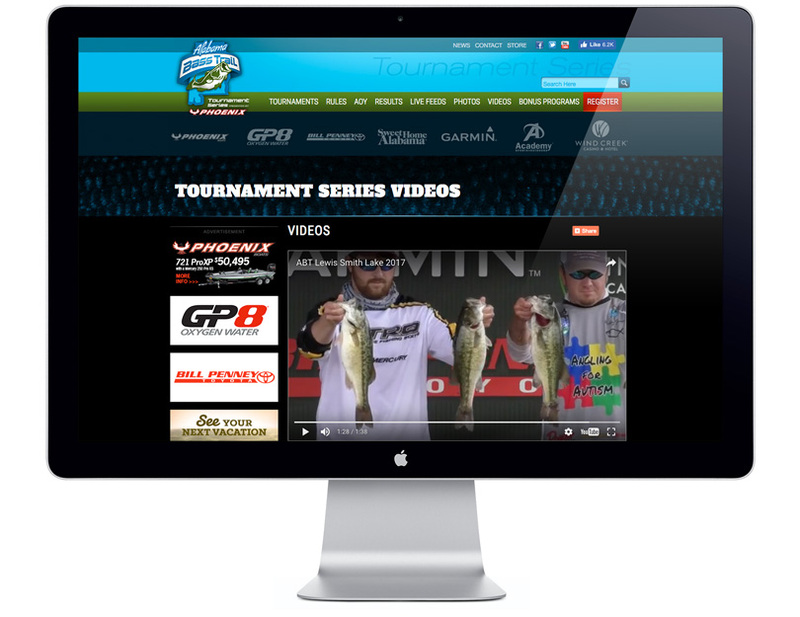 Built with competing angler in mind, the site features detailed info on each of the tournament lakes, a live leaderboard, and behind the scenes footage of each tournament. 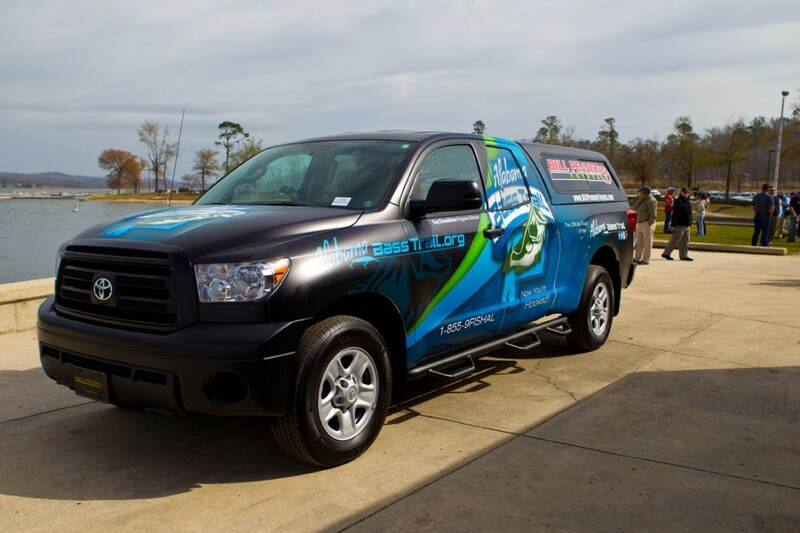 ABT More Buzz than a Chatterbait: What’s all the racket? 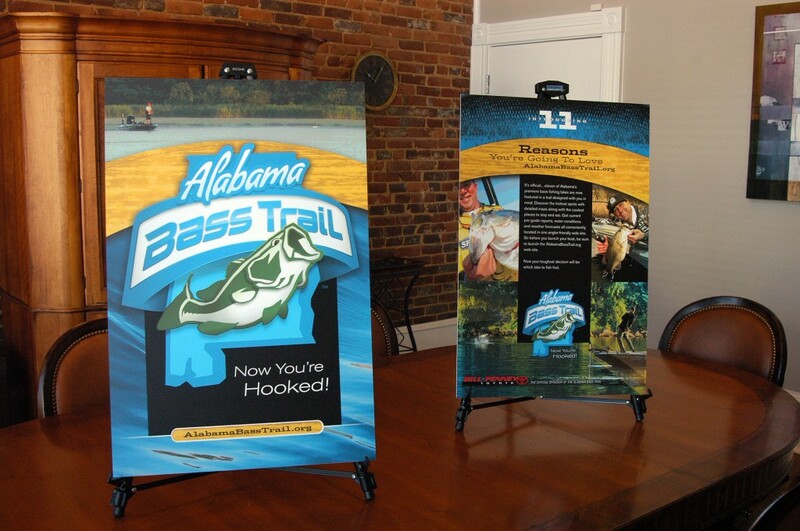 That noise you hear is the excitement created by the wildly popular web site by the McComm Group for the new Alabama Bass Trail. 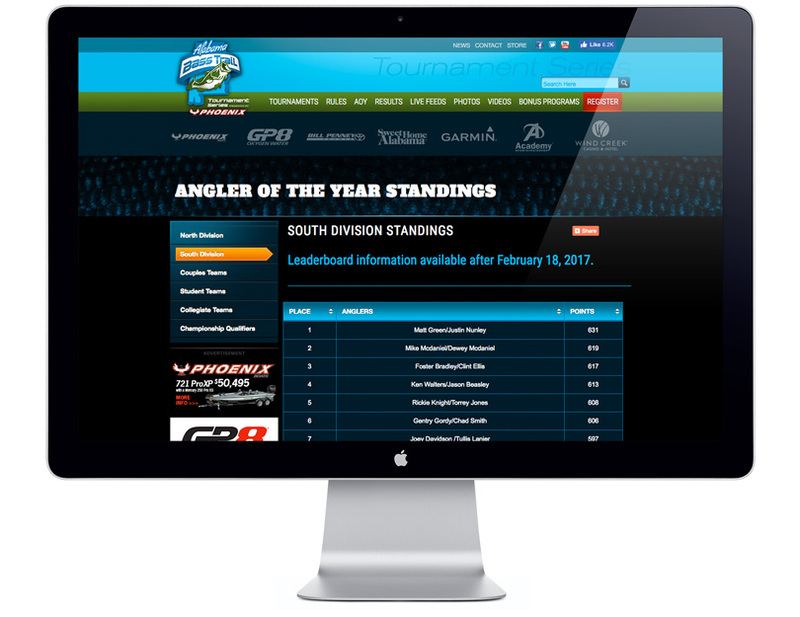 Built with anglers in mind, the site features detailed info on arguably the best bass waters in the world, including current conditions and reports from pro-fishermen. Need more? 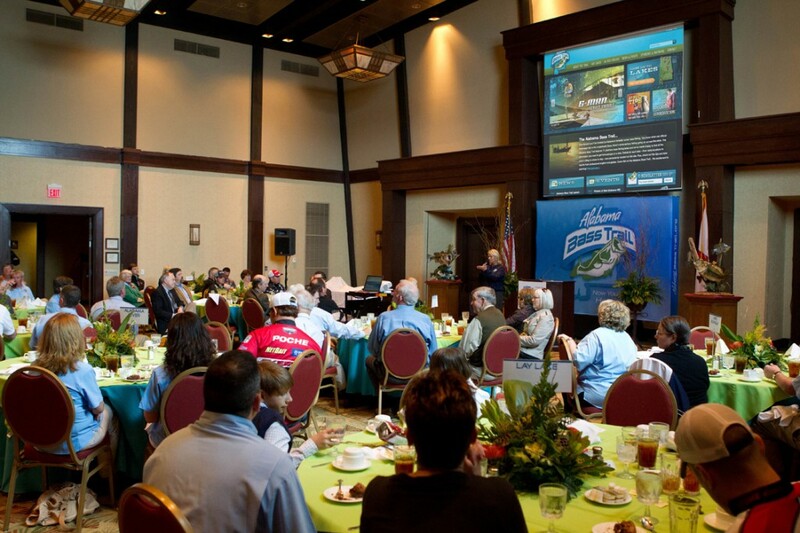 How about maps that not only show you where to launch, but where to fish? Still not satisfied? How about Pro Tips to show you what to throw? Yeah, that’s there and we’re not finished. 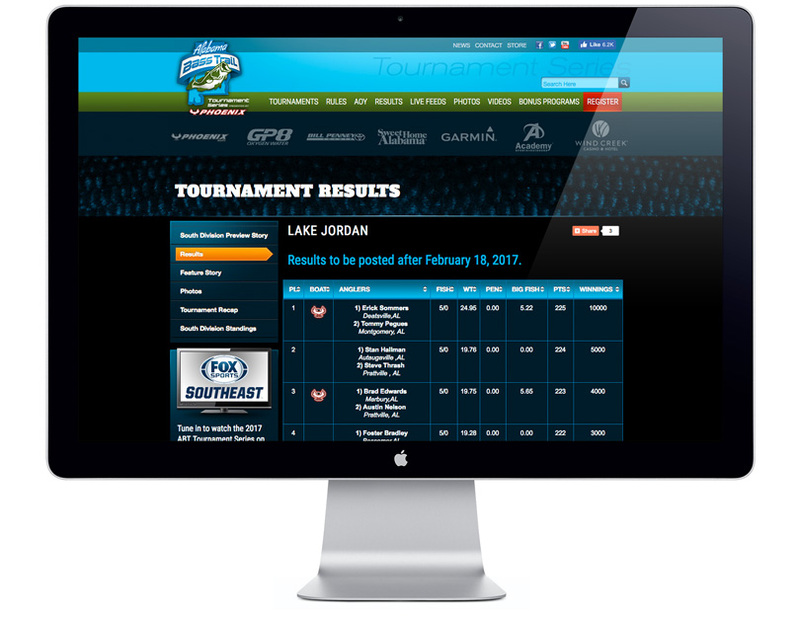 There’s also a neat widget to search for and book accommodations near the lake of your choice. 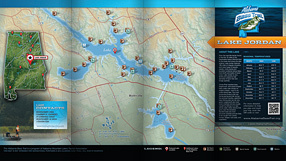 Truly usable maps for all 11 Lunker Lakes. 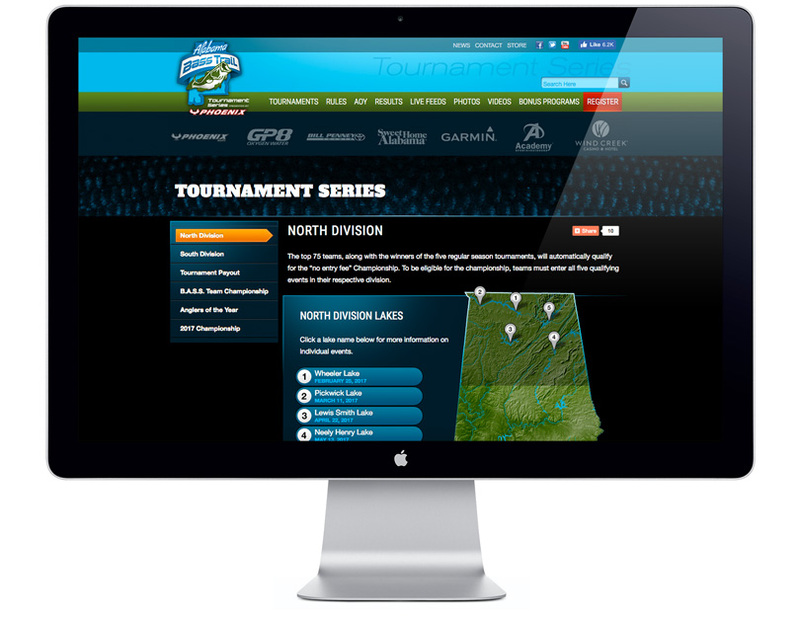 Working closely with our client, we spearheaded the map-building team to create 11 custom maps for this first-in-the-nation program. 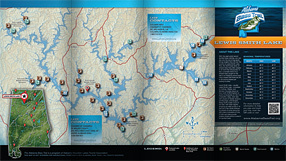 Important lake information such as the locations of marinas and fishing hot spots was combined with area tourism contact information in the 28-page rack brochure. 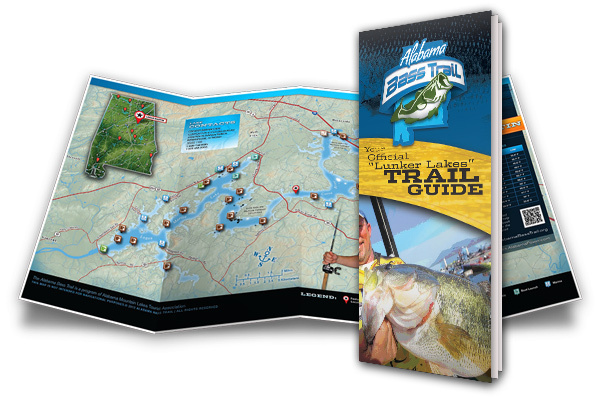 The brochure was designed to capture your attention – regardless of which cover was to the front when displayed in welcome centers throughout the southeast. QR codes on each lake page sends the reader directly to the current lake water and weather conditions on the ABT web site.